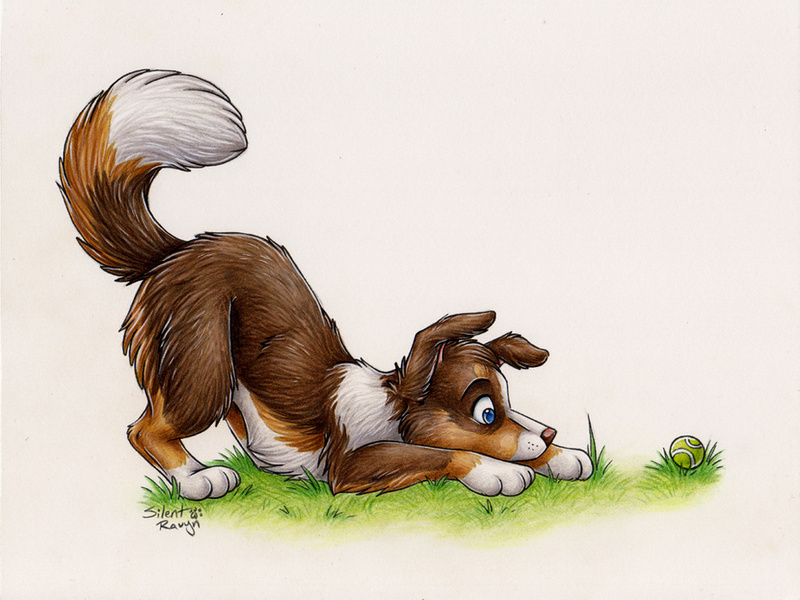 A little aussie shepherd comes across something wonderful - a tennis ball. He must guard it and watch for any sudden movements! Very well done, I want to hug! *pats the collie pup* Very well done, I want to hug! OHH, what is twisting your jibblets?! Lol! Love dogs, love this, gotta go. Great work!